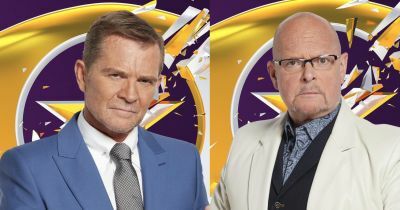 Meaning James and Grant had the most votes, with 11 and 8 votes respectively, and will face eviction on Friday's live show. Bear got 3 votes, Marnie, Renee and Ricky had 2 votes, and Katie and Frankie each had 1 vote. BIB I agree with Lewis, but do you also fancy contributing to the series soon as well? So, it was all James fault. Daft cow. His gonna whale on about that nomination isn't he? I think Grant will go. Bear should go but he will get votes. If any forum ladies want to break the ice with me, feel free. Would be super happy for Grant to go. He gives me the creeps.